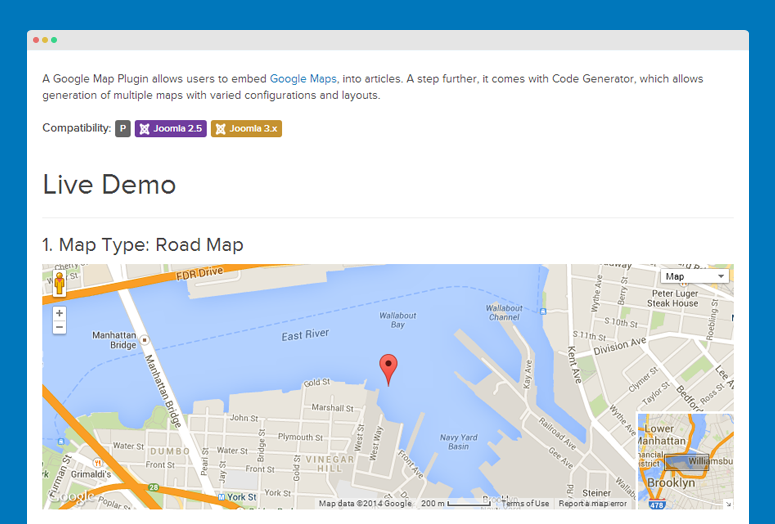 JA Google Map plugin is to embed Google map into your content. It supports mulitple map types with lots of parameters. 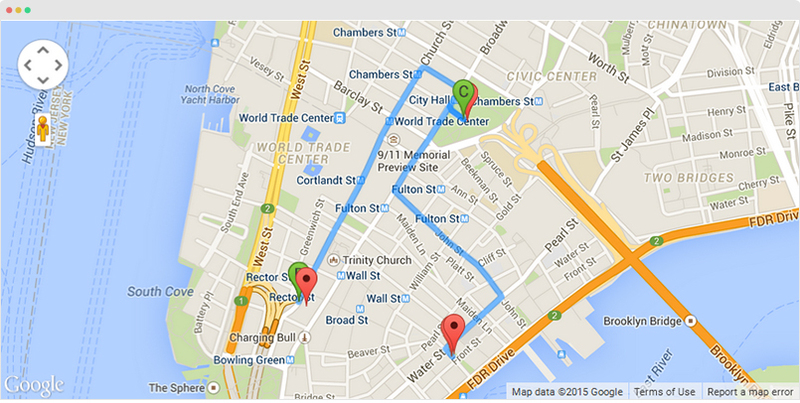 Check out THIS LINK to download JA Google Map plugin. 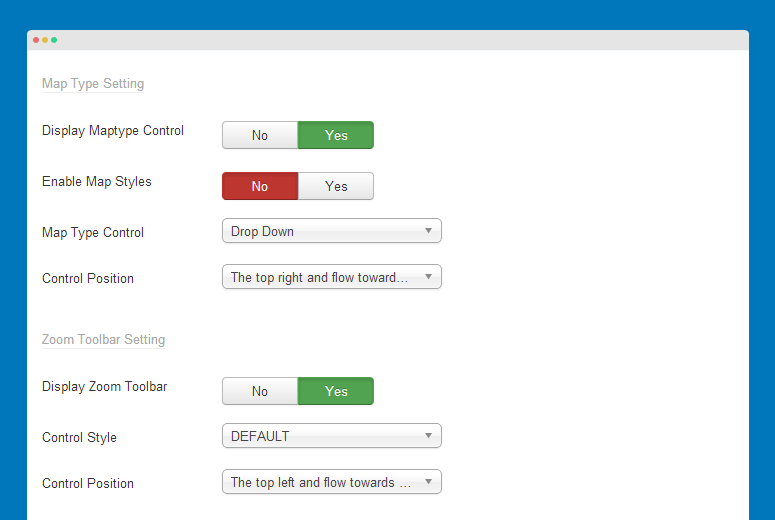 Go to your Joomla back-end system, go to: Extensions >> Extension manager. 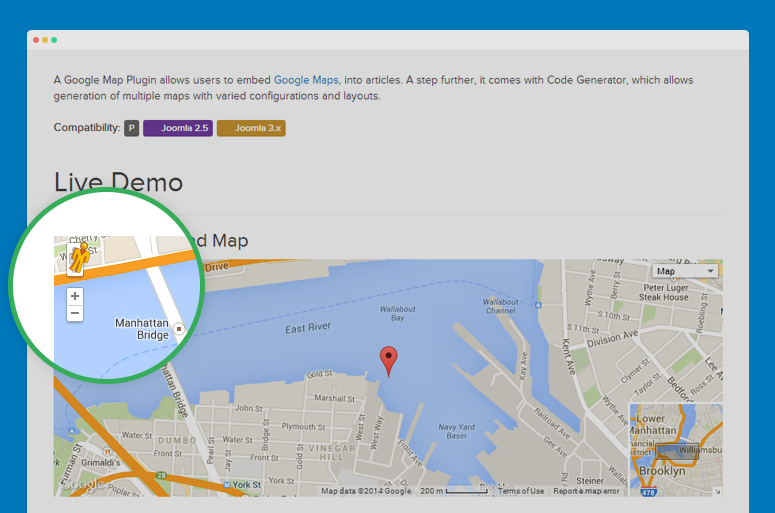 Browse JA Google Map plugin installation package then hit the Upload and Install button. After install the plugin successfully, go to: Extensions >> Plugin manager, find JA Google Map plugin then open its setting panel then enable the plugin. 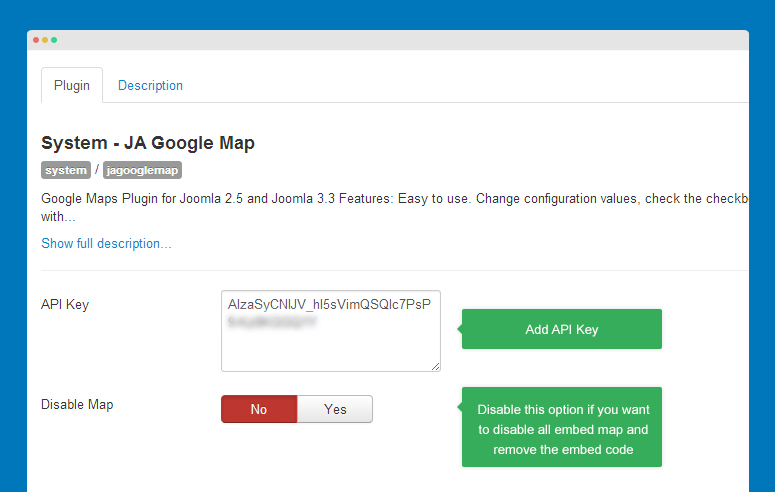 Disable Map: when this option is on, all embed Google map in your site will be disabled and its embed code in content will be removed also. 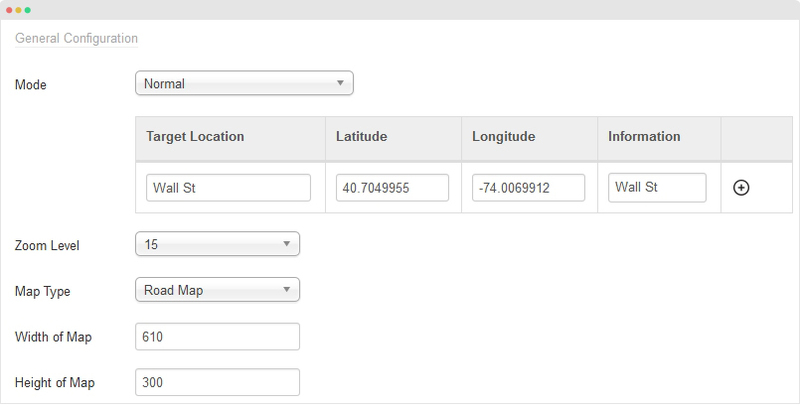 The setting panel allows you to add your target location, the information of the location, map type, map's size, zoom level. 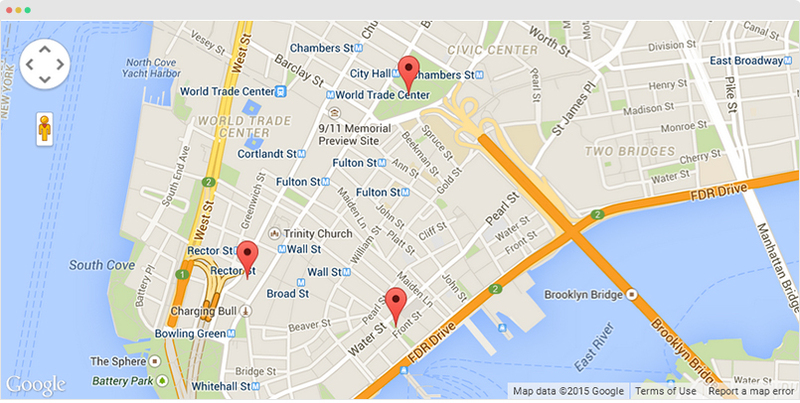 Target location: Full name of the Location, if you fill full location, it can be replace for Latitude and Longitude. Latitude & Longitude: Latitude & Longitude of location: must be fill exactly info to make pointer put on the right location. Information: show on bubble when you click to pointer. 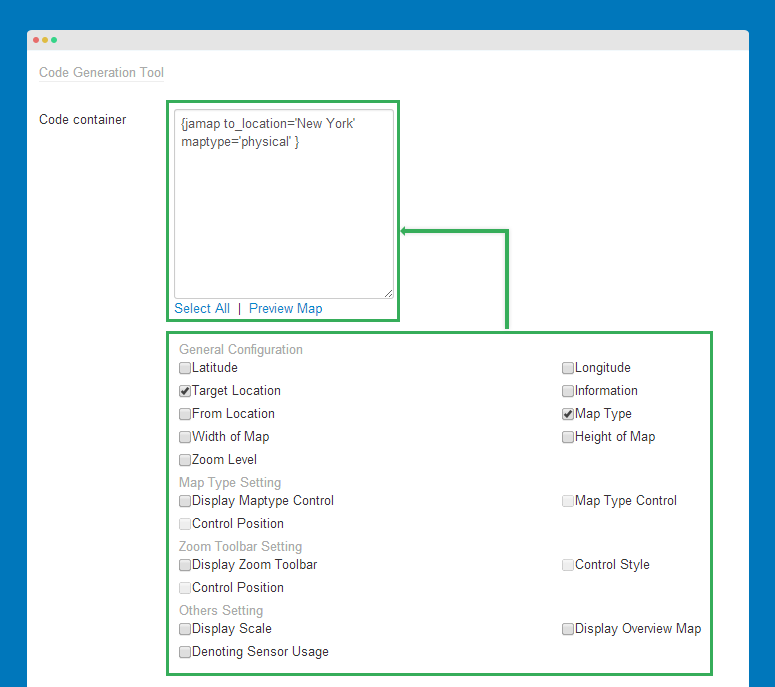 In Code Generation Tool, tick to Locations and get the code. Here is what you got in front end. 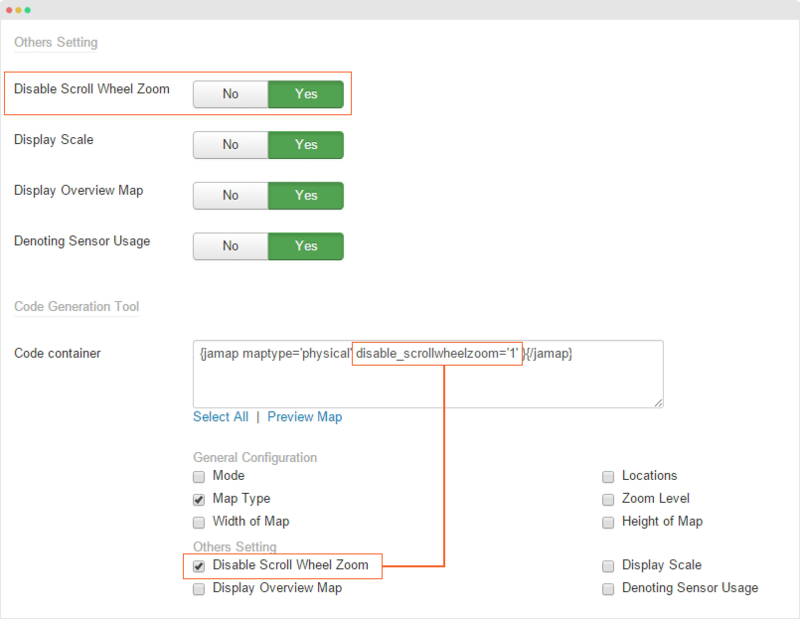 The setting panels allows you to enable the map scale or not, mini-map in the corner of the main map. This feature will lock the map so that the zoom feature does not work. To active this feature, please set Disable Scroll Wheel Zoom to Yes. 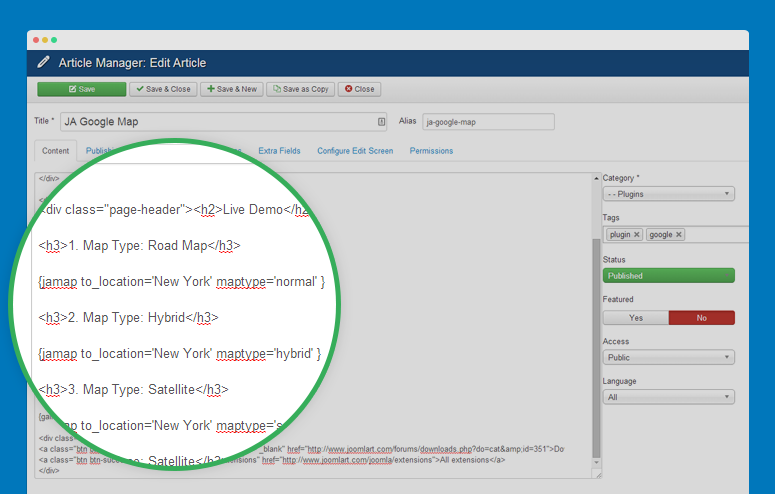 This panel is to render sample code with attribute of map to embed to your content. Tick on the attribute and the sample code will be generated in the Code container field.